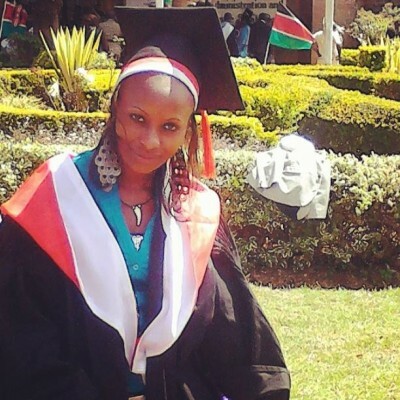 Wairimu excelled in school, and upon graduating high school she was accepted into the Law School at Moi University. Tuition was an obstacle, though: at several hundred dollars, it cost more than most Kenyans earn in a year. But Wairimu was creative and not afraid of hard work. A family friend gave her a few kilograms of maize to sell in the market. Lacking money for a market stall, she sold the cereals outdoors with only an umbrella to protect her from the elements. 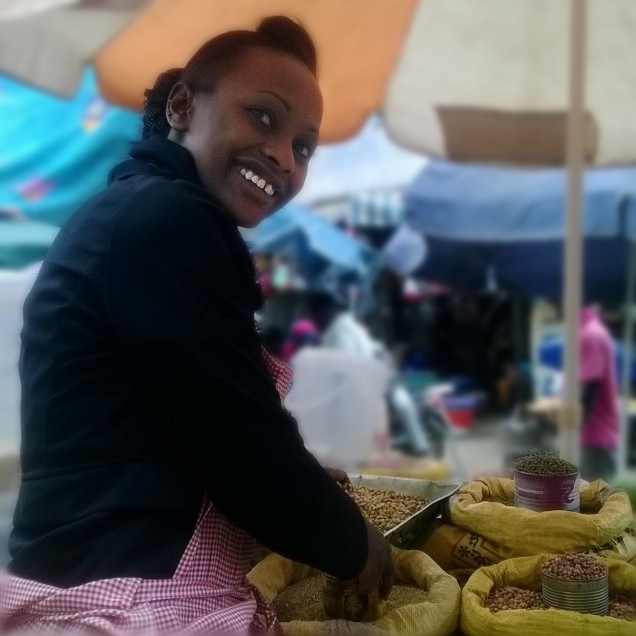 From then on, Wairimu would spend the mornings carrying her sacks of cereal out to the market, slowly growing her sales volume as she used the proceeds to increase her inventory of staple grains. The evenings were spent studying for her law degree. By the time she found Zidisha, Wairimu was earning around $60 per month to support her tuition and family. Her first Zidisha loan, of just $100, had a transformative impact. She used part of the funds to rent a salesroom at the market, so that she no longer needed to carry the sacks of grain to and from her home each day. I hear stories like these every day, but they never cease to amaze me. It’s incredibly inspiring to see so many people reaching out to help each other across such vast distances. You are truly miracle-workers, and it’s an honor to be a part of this community. Wairimu raised a $100 loan to grow her cereals business in October 2014. You may read her story in her own words at her Zidisha profile page. Posted on December 21, 2014 by Julia Kurnia. This entry was posted in Uncategorized. Bookmark the permalink. ← Zidisha gift cards are back!